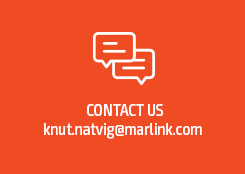 Oslo/Paris, 30 May 2017: Marlink has launched SkyFile Mail 10.1, the latest innovative addition to its leading SkyFile messaging portfolio used by thousands of vessels worldwide. SkyFile Mail 10.1 is designed to improve management of SkyFile Mail traffic and user accounts through automatic detection and profile automation, making managing email traffic easier and more cost efficient. The continued development of SkyFile Mail specifically addresses user requirements and enables Marlink to ensure its extensive portfolio of business critical solutions evolves in line with its global Sealink multi-band maritime communication services. SkyFile Mail 10.1 is a free Over the Air (OTA) update on Sealink VSAT and back-up L-band services, making it quick and easy for current users to start taking advantage of the extensive new functionality it offers. 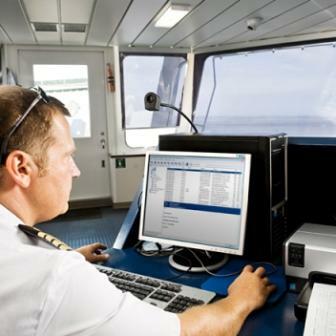 A key new SkyFile Mail feature is Device Auto Detection, where the system will automatically detect the active connectivity in use on board (VSAT or L-band) and automatically apply the adapted features and rules related to that connectivity profile. A pop up message also notifies the Administrator on board and an email can notify the IT-manager on shore when the back-up device is in use. Tying in with Device Auto Detection, SkyFile Mail’s new Smart Profile Management enables users to select pre-defined rules to be activated according to the connectivity in use, such as email size limits, enabling/disabling OTA updates, filters and type/priority of message. This adds significant protection against unwanted, large data volumes being consumed over a non-adapted device. Customers can define these specific rules and behaviours fleet wide. A new ‘Emails on-hold’ feature also automatically stores and sends emails and files when the primary connectivity is restored, ensuring all messages are always received. While the above-mentioned functions are SkyFile Premium features, SkyFile Mail 10.1 features extensive new functionality for all account types. New auto-forwarding functionality supports customers making changes to their vessel name by automatically transferring emails to the new email address during the first 3 months. This free redirection service also provides a notification to the sender advising that the email address has changed. All SkyFile Mail 10.1 users can now customise access rights to shared folders. For newly created folders, the Master can restrict access to specific people or enable open access. New archive management also automatically creates a back-up folder when a maximum number of emails or a volume limit is reached. This ensures emails are not blocked from reaching the vessel and secures information and attachments saved in emails to an archive.